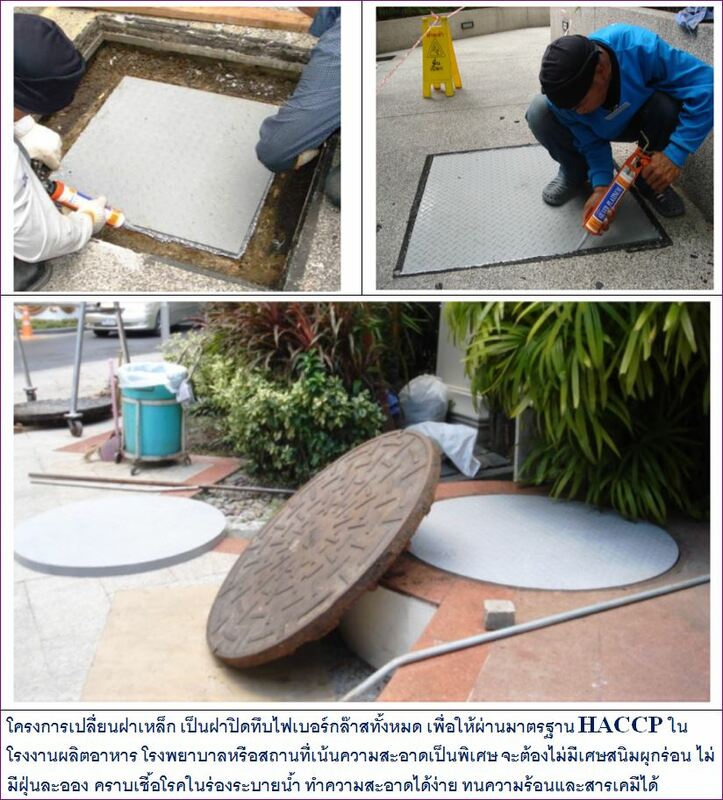 FRP Manhole Cover Grating (New Custom Made to Order for any size) Made to order in all sizes (Tailor Made). Get the product immediately within 2-3 days. Lightweight, not corrosive weather throughout the life. Easy to install, easy to open lid. 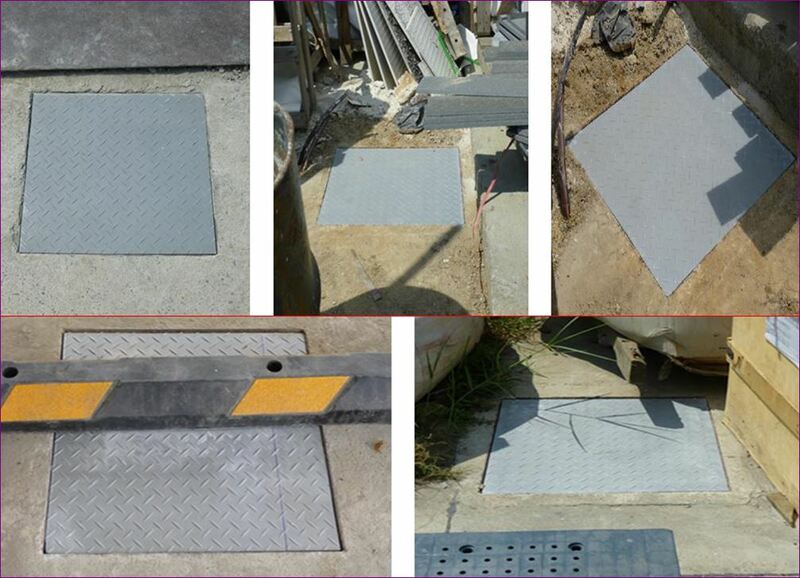 Designed to replace the steel cover plate. The original cast iron pond. 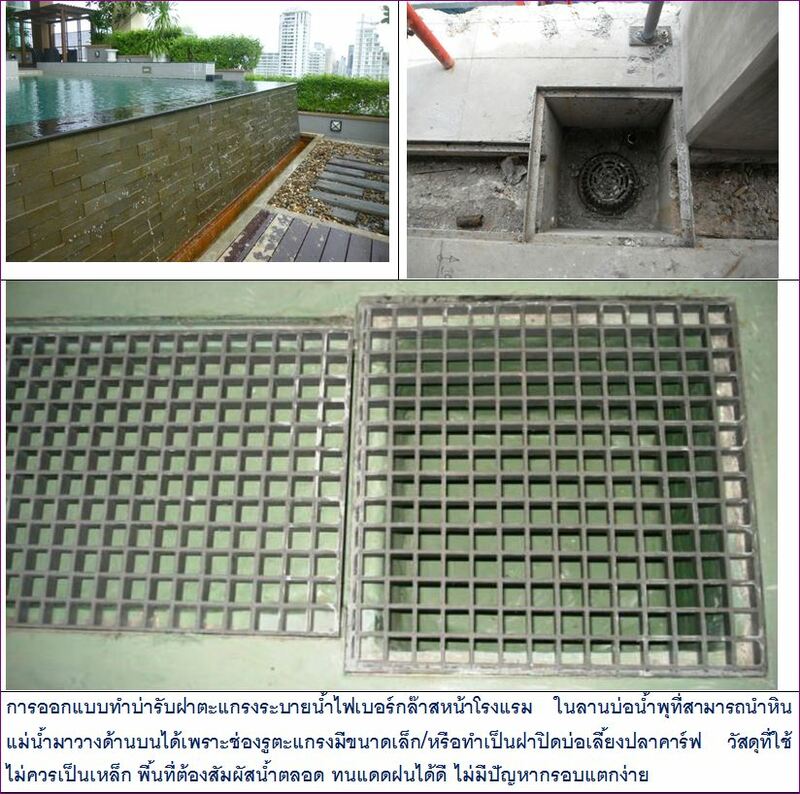 FRP FibreGlass Top Cover Grating Quotation <– Click ! 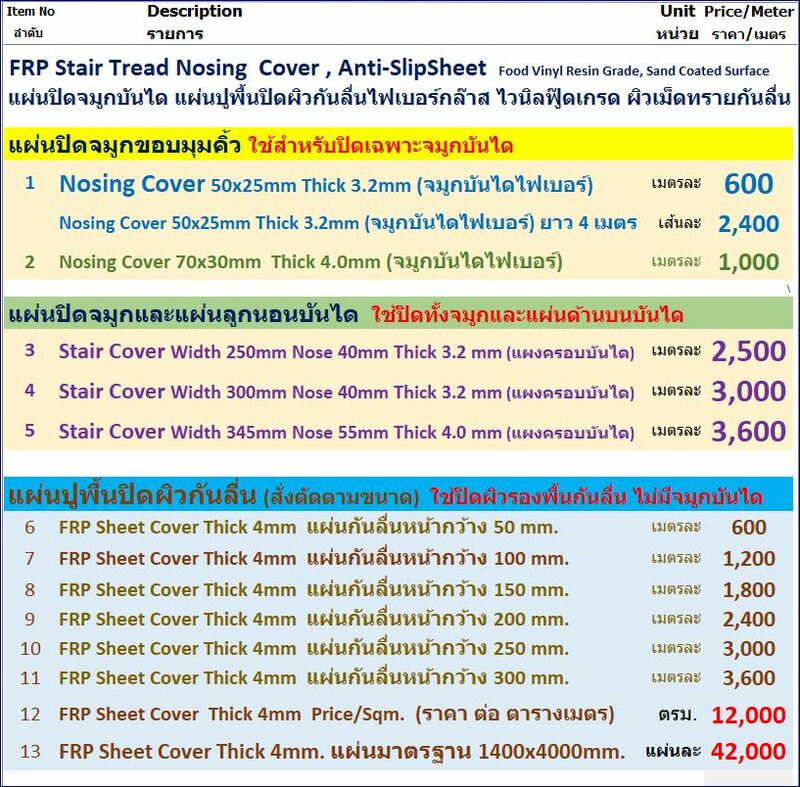 ดาวน์โหลดโบรชัวร์ ** ราคาที่นำเสนอข้างต้น ยังไม่รวมภาษีมูลค่าเพิ่ม และค่าจัดส่ง (เป็นราคามารับเองที่โรงงาน) | Price excluded VAT and DeliveryFRP Manhole Cover Grating (New Custom Made to Order for any size) Made to order in all sizes (Tailor Made). Get the product immediately within 2-3 days. Lightweight, not corrosive weather throughout the life. Easy to install, easy to open lid. 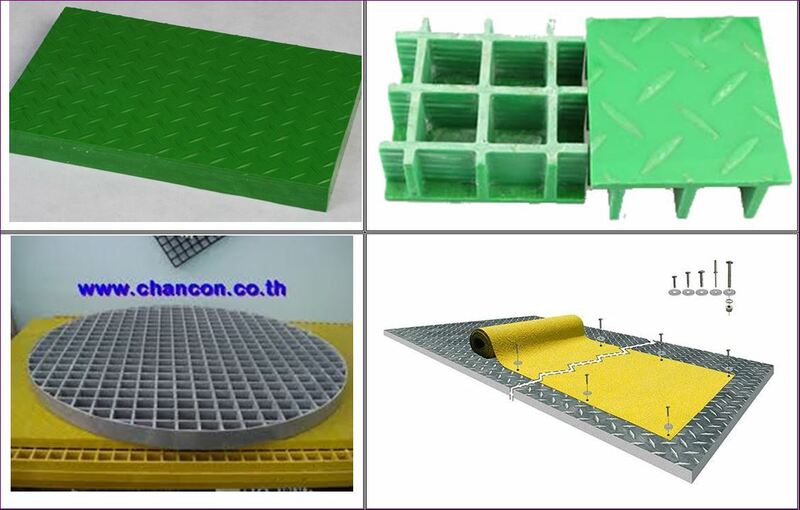 Thiết bị thay thế bằng steel plate cover. The original cast iron pond. FRP Fiberglass Top Cover Grating Quotation <- Click! Brochure download ** Price presented above Excluding VAT and shipping (VAT included). | Price excluded VAT and delivery1) Tailor made to order in 2-3 days / Delivery in 2-3 days. 1. Standard panel 1.5×4 M. We cut to any size: Cut to length x width according to customer requirements. 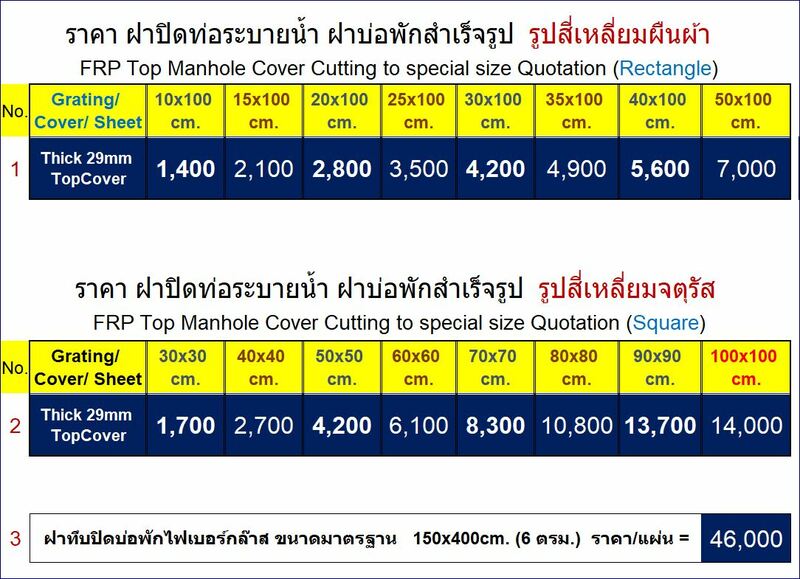 The maximum size is 1500 x 4000 mm (1.5×4 m) by cutting can be cut in a rectangular of any size. Can be placed in the original slot. Just adjust the height of the shoulder to get together. 2. Thickness: 29mm. 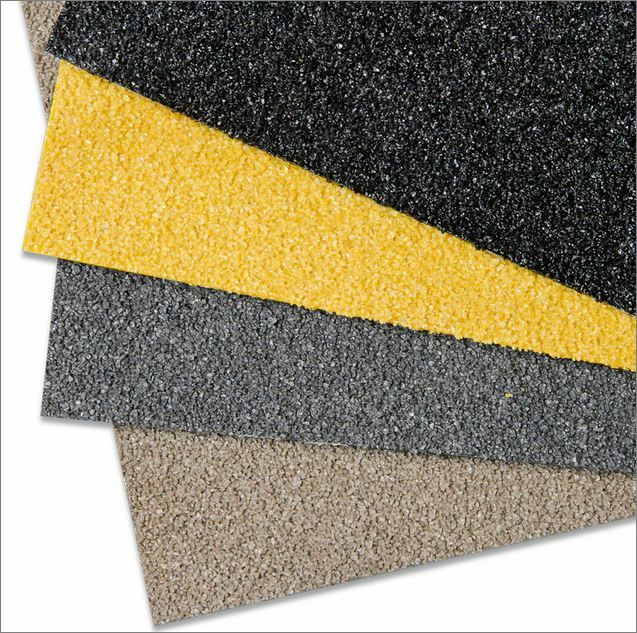 The thickness of the fiberglass cover is 29mm (3cm.). 3. 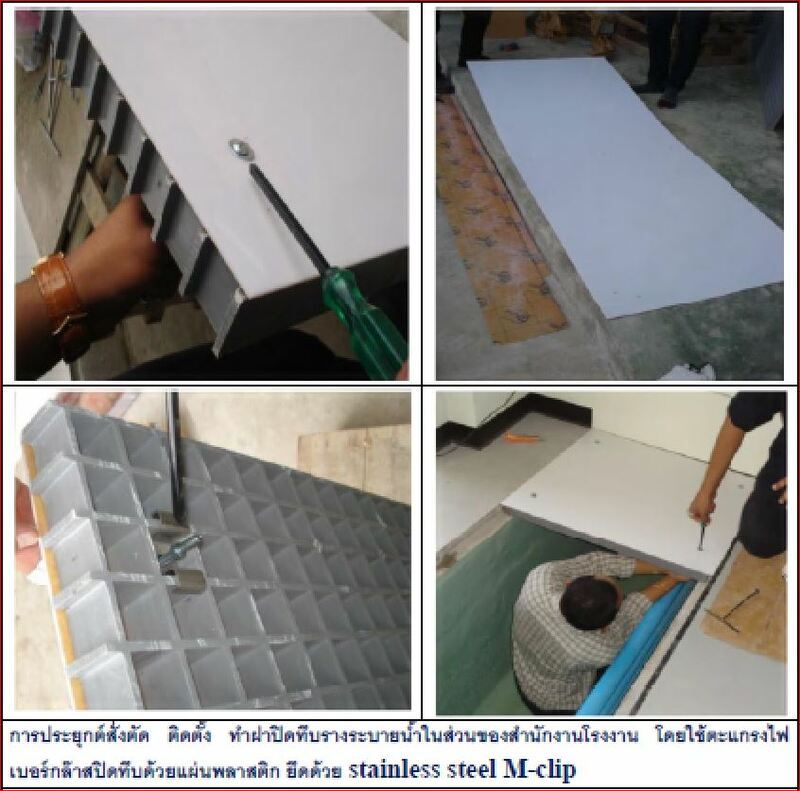 Frame L-angle Preparation of Gap + 5mm: Frame preparation for fiberglass lining. Use a 30×30 mm steel frame and make 3-5 mm per side for a sufficient area to fit the lid to fit. The case has the original shoulder. 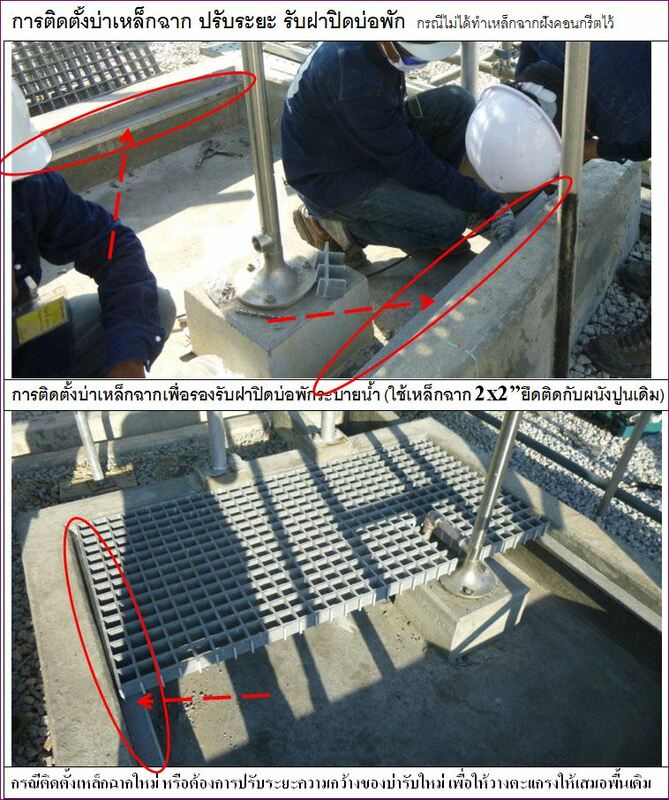 It may be necessary to adjust the height of the support frame at the work site. Lids are generally closed, which is more than 95% used. Cast iron ductile cast iron since it has been used for a long time since the invention and development of the cap system to drain the pond. 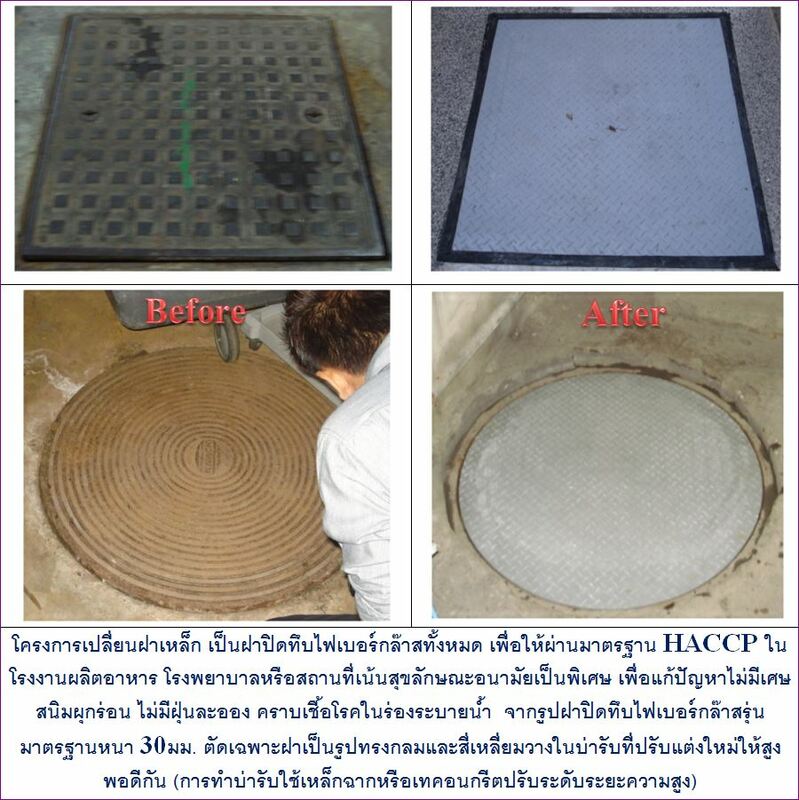 The use of cast iron for the lining of the pond has the advantage of being well known, especially in the specification of the government that requires only the lid of this material. The evolution of alternative materials has begun to progress. But it is not known in the market. 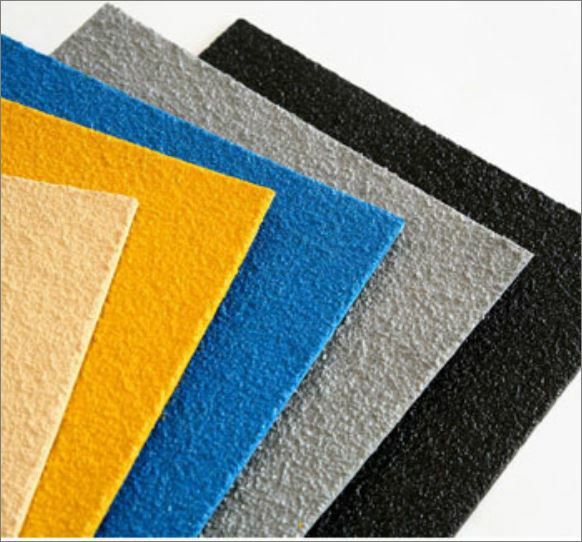 The most suitable substitute material is Fiberglass FRP Fiberglass (Composites) due to the fiberglass lining. The problem is caused by the use of cast iron as well as the iron pits are often stolen to sell in the store to buy antiques, causing people to fall or fall from the hole in the iron hole was stolen. Anyone come to repair it well enough. 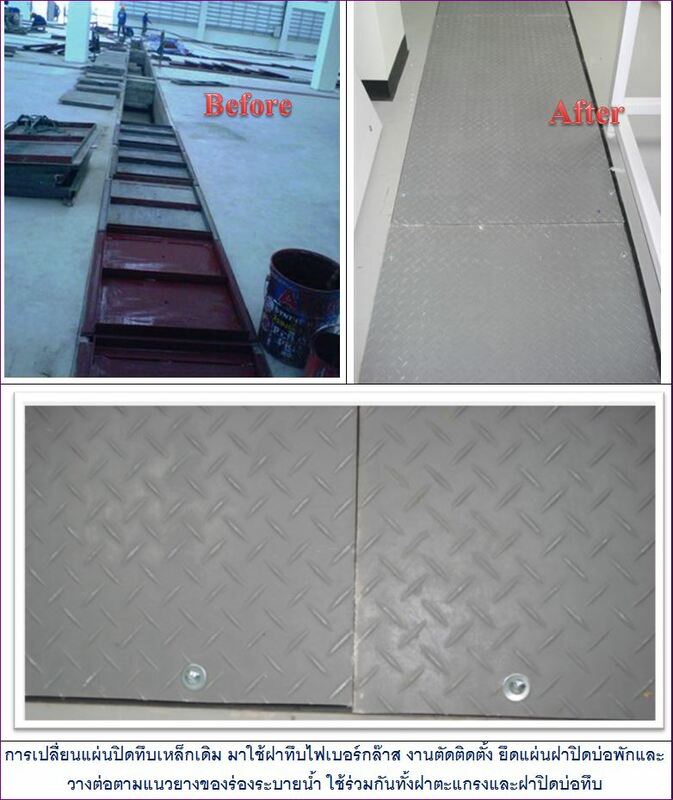 The problem of steel pan is rust, decay, decay, deterioration quickly if the water frequently. 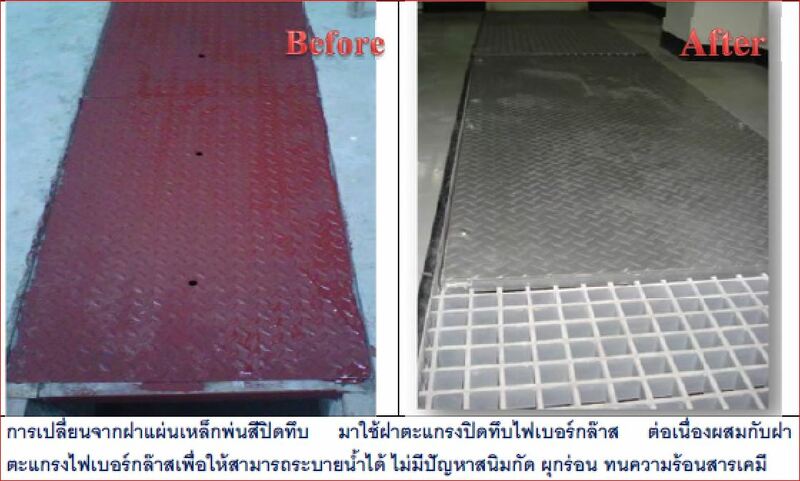 In some industries such as modern food plants, it is not permissible to treat pipeline ducts with contaminants from rust, corrosive substances. 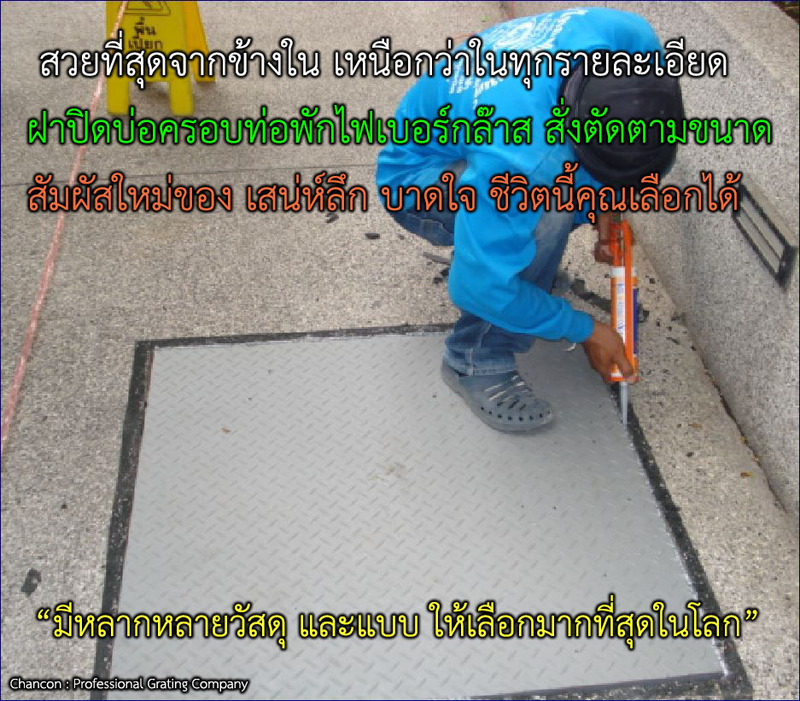 Workers may walk on the friction lid as dust gets trapped in the mixture of food production. Or noisy steel bell cover The smell of closure, etc.